1-800-FLOWERS franchise for sale. 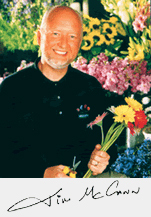 Free 1-800-FLOWERS flower shop franchise information. For more than 25 years, 1-800-FLOWERS.COM has helped millions of customers connect to the people they care about with a broad range of thoughtful gifts, award-winning customer service and its unique technology and fulfillment infrastructure. 1-800-FLOWERS.COM is the World's most reputable name in flowers, and with world-wide brand recognition, is now expanding its development through franchise retail store locations. An estimated 6 million floral arrangements and gifts are sent to our stores everyday through our proprietary wire system, Bloomlink. 1-800-FLOWERS.COM is in its early stage of expansion. We currently have 28company owned stores, 8 company owned fulfillment centers, and 80 franchise stores in 7 states under two brands. We offer single unit, multi-unit development agreements and conversion store franchises. To us, franchising is about relationships where shared values, expectations, and success are vested interests. We at 1-800-FLOWERS.COM outwardly seek those business partners who share in similar values. Our quality is imperative to us. Our brand recognition has positioned us as the world's first choice for flowers and gifts. Our proven track record to deliver quality goods at competitive pricing has put us in demand. Our collection of brands and diverse array of flowers and gifts have kept our customers coming back for more. All of these things could not have been accomplished if not for our valued customers and long lasting vendor relationships. We offer an excellent training program that equips qualified franchisees with everything from flower care, retail management, winning customer service, "service that sells," to initial business planning and marketing strategy. We offer a step-by-step marketing, merchandising program, as well as a sound operational program. Each one of our franchisees has their own individual business consultant to ensure proper execution and implementation. Our proven business model is intended to maximize your profit and investment. We continually strive to develop tools and new ways to drive business. Our merchandising program is designed to strengthen the brand and enhance your store environment for an engaging shopping experience. It consists of quality, and floral preferred merchandise. First impressions are critical. A strong merchandise presentation creates excitement and draws customers to make a purchase. Specific guidelines or "plan-o-grams" will help you maximize sales opportunities and customer service. Each season you will receive quality preferred merchandise, and a merchandise manual, which will include a plan-o-gram to help make your stores visually impacting. Plow & Hearth, a leading provider of gifts for home, hearth, yard and garden. HearthSong and Magic Cabin Dolls, which offer customers a wide variety of gifts for children. The Popcorn Factory, maker of premium popcorn and other great food gifts, and GreatFood.com, which includes the company's gourmet food offerings. We care about your continued success. Our experienced marketing department will work closely with you to design a program that is appropriate for your retail location. Whether it is a community relationship building program or marketing campaign, we are here to provide you with the support and tools necessary to make a successful integration into the community. As part of 1-800-FLOWERS.COM brand, your store will benefit from multi-million dollar national advertising. We are proudly known for successful integrated advertising campaigns designed for television, radio, print, and the internet. We have several key Holiday/Promotional Drive periods a year that support the most popular floral and gift giving seasons. Sales "Tool Box" We feel that it is equally important to create a "reason for a season" throughout the year. In conjunction with our training department, we have developed a comprehensive sales "Tool Box" that includes such things as brochures for Birthdays, Weddings, Sympathy Occasions and Corporate Accounts. The Fresh Rewards program rewards customers for their purchases, assisting in building a loyal customer base. The World's favorite Florist can be you! Whether you're interested in a single unit or multi-unit Development of an entire area, we tailor a franchise to meet your needs. To learn more about the 1-800-FLOWERS.com franchise opportunity, simply complete the form below.